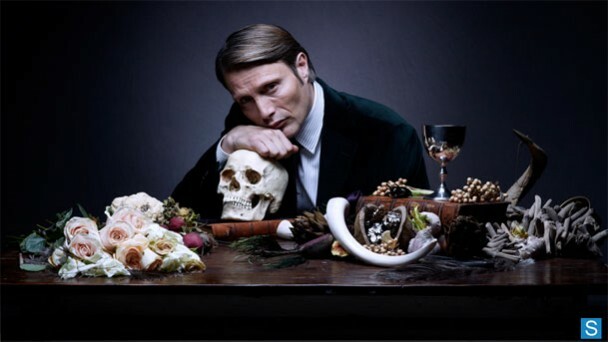 Check out this fun promo photo for Bryan Fuller's upcoming new NBC TV series Hannibal, which is based on the horrific cannibalistic serial killer Hannibal Lecter. The image features actor Mads Mikkelsen as the title character surrounded by all the things that make him happy. The series also stars Hugh Dancy as FBI agent Will Graham, and Laurence Fishburne as his boss Jack Crawford. NBC has ordered 13 episodes for the first season, but as of right now no release date has been set. There's talk of a debut this summer.